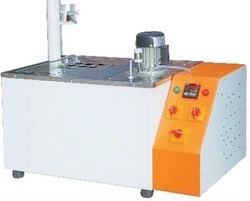 Time totalizer range: 999.9 hrs. 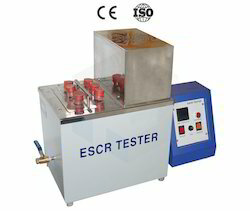 Dimension: 28"X 13" X 25"
ESCR Test Apparatus: Environmental stress cracking is a property that is highly dependent upon the nature and level of stress applied and on the thermal history of specimen. This taste is normally employed for routine inspection purpose.